Don’t you know what to do with plums? Let’s juice them! In case you don ‘t have a clue what to do with fresh plums we have a tip for you. Let’s juice them, because it’s the easiest way how to preserve a huge amount of vitamins and minerals plums contain. Moreover, fresh plum juice is very tasty without adding any additional sugar or other substances. Learn more about plums and get inspired by our original recipes! Plums are related to peaches and nectarines having a very low content of calories. This means that you should definitely add plums to your menu in case you want to lose some weight. Thanks to high volume of vitamins and minerals they are very beneficial to your health. And what are their important wholesome effects? If you buy plums on the market or in your local groceries, always choose the ones, which are not that hard. A little bit softer plums are sweeter. You don‘t have to worry about the color; there many species varying from blue to red. Let the taste of plum juice surprise you! 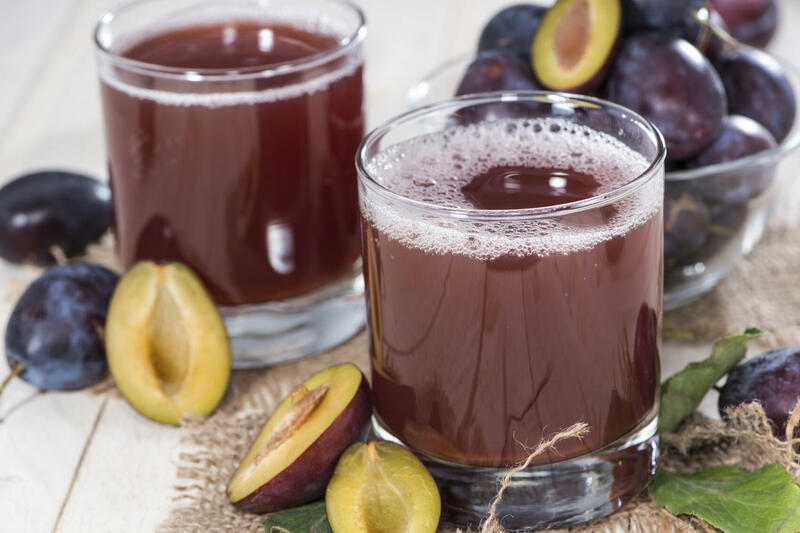 Plum juice contains all the necessary wholesome substances wrapped in a delicious taste. You can add them in almost every fruit-juicing recipe, but don‘t be afraid of putting them even in the vegetable juice! Discover the taste of plums like never before! You’ll see that juicing is the most delicious way to stay healthy.